‘Best Of The Gifts’ takes you on a journey to unforgettable childhood Christmases, with eternally treasured people. 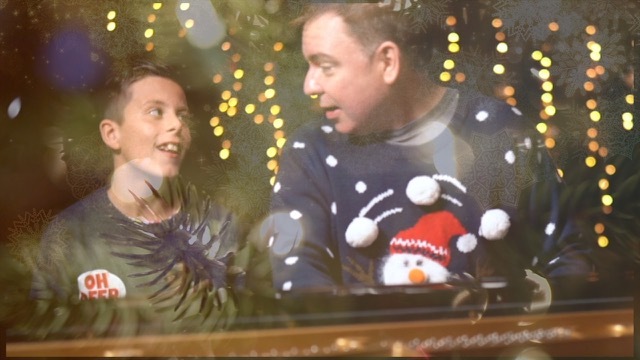 Download Lee’s ‘All Time Christmas Classics’ piano instrumental album. 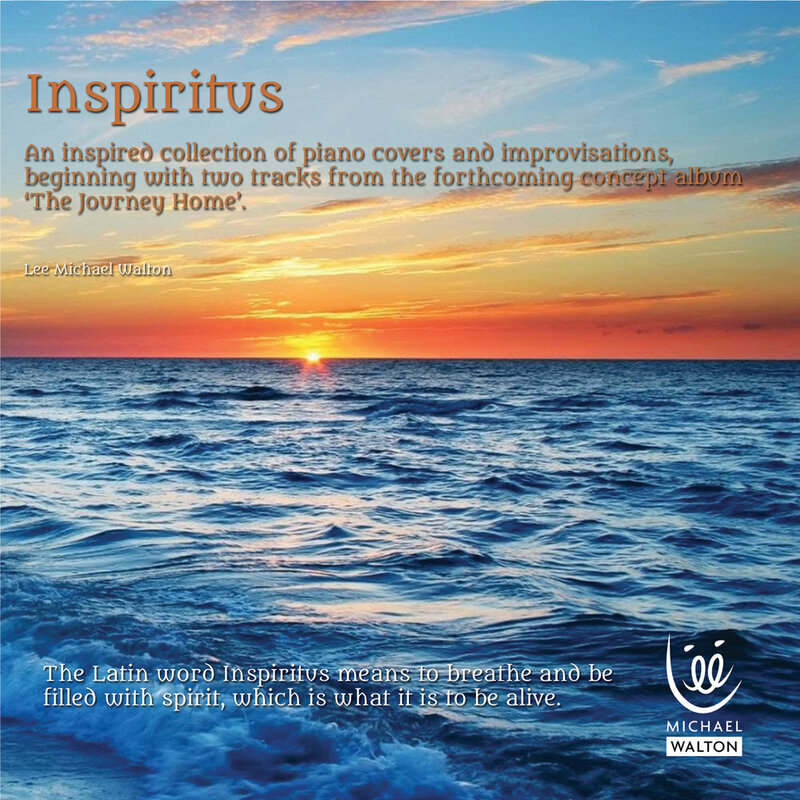 Download Lee’s ‘Inspiritus’ album and fill your heart with spirit. As a miracle survivor of cancer, I tithe 10% of my income from my debut album 'The Journey Home' to Guys Hospital, with deep gratitude to Mr. Ricardo Simo and the staff at the NHS Trust. The twenty one hour breakthrough surgery saved my life and I wish to pass the gift of life on to others. If you would like to support me in completing and releasing 'The Journey Home' album, please visit my crowdfunding campaign. I hope you enjoy the tracks from 'The Journey Home' album below. "You have bone cancer - chondrosarcoma." Those words have been with me every day since. Until that point in my life I had been going through my usual daily motions. I had noticed little signs like my right eye appearing bigger than the left, frequent headaches, but nothing that caused me reason to worry about my health. The journey from those words, over 10 years ago to now, is one that has seen me reach the depths of despair before rebuilding my life into something that has a meaning again. I’d love to share with you some music from my upcoming concept album, 'The Journey Home'. ‘The Journey Home’ album tells the story of my transformational journey through life. 'When We Ran Fast' expresses the collision between the world of the adult and the child. Those treasured memories of growing up in Wales surrounded by the freedom and beauty of the countryside and those moments in the dynamics between the adults, which can be terrifying. The arguments, the fighting and questioning this brings to the innocence of the child: “Is this my fault?" "Will I be safe?" When I was in my early twenties, my anxiety escalated and I sought out personal therapy. I had locked away the events which had left their scars. This song expresses the resurfacing of those memories. But along with those wonderful, precious relationships, there existed besides them many hurts and resentments towards people who’s beliefs about me had been internalised. 'Forget-me-nots' expresses those powerful relationships. The dark and the light, the joys and the pains. As children, we have very little control over who influences us. But as an adult, I began to face the traumas and begin the journey of forgiveness - of myself and of others. 'Longing and Belonging' is an instrumental piece that expresses the time leading up to my breakdown and suicide attempt, which required hospitalisation. I was feeling increasingly destabilised and terrified at the sense that I was literally breaking up internally. It is very difficult to put this experience into words. But music, as it often does, is able to capture and express what seems to transcend definition through words. Our violinist, Xenia Porteous perfectly reflects my fragility in her very sensitive performance. The separation between the piano and the violin at the end of this piece is symbolic of the fragmentation which occurred in me at the time. In the weeks and months following my breakdown, I began to feel that there was a transformation occurring. It was as if I was being renewed and my internal world was shifting towards a more integrated self. Paradoxically, at the same time, although there was this profound shift occurring, there existed a feeling of peace and calm. I was no longer living with terror. My life could exist as it was, in the present moment and the future was no longer of great concern. It is true what is said, breakdown is breakthrough. When I was thinking about a title for this instrumental, there flashed in my mind the words ‘Space and Snow’ and I feel this is because the snow symbolises winter when the old dies away. Space is made for the renewal of the self. The one gives way to the other.